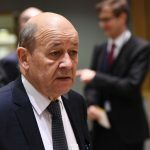 French Foreign Minister Jean-Yves Le Drian said Tuesday he will soon travel to Iran to prepare a visit by President Emmanuel Macron and raise concerns about Tehran’s missile programs and regional role. 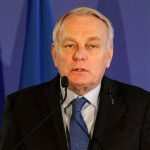 The visit comes as France is hoping to salvage the nuclear deal reached between Iran and world powers after President Donald Trump refused to certify the agreement, leaving its fate to Congress. 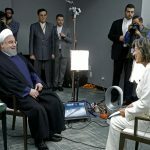 “But that does not prevent us from being firm and demanding on the other issues” such as Iran’s missile program and it regional activities, he said. 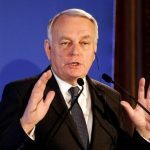 Le Drian said he would raise those concerns during his visit expected to take place during the second half of November. Macron would be the first French president to visit Iran since 1976, but the foreign minister did not give dates for that trip.